Heading to SulaFest? 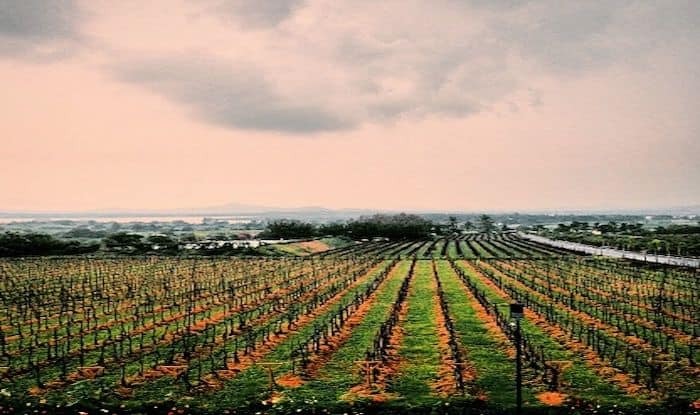 Here’s Your Ultimate Guide to The Nicest Properties Around Sula Vineyards. SulaFest is back with its 12th edition and is promised to be even bigger and better. This year it’s happening on February 2 – 3, when the temperature will be just about right to enjoy the festival in all its glory. You’re in for a real treat as the weekend will be full of music, wine, food, fashion and more. If you’re looking for a place to stay during the festival, think no more. Here’s a guide to the top five and closest properties where you can detox and have a fun stay. If you’re a large group of friends heading to SulaFest, Pai Farm will make for a perfect homestay. The colorful house with a fenced lawn is a 3 BHK villa that can accommodate up to 15 people. Situated on the backwaters of Gangapur Dam, it makes for a great place to unwind and rest in nature’s lap. If you’re looking for a stay away from your concrete jungle, are tired of monotonous hotel accommodations and have a penchant for exploring something different, Utopia Farmstay is the perfect escape for you. The lakefront property is located only 5 minutes from the Sula vineyards. The property has ten aesthetically designed cottages and gives you the feel of an actual village home. If you’re looking for more than just music and wine, Vihang Farmhouse is the perfect choice for you. Enjoy birdwatching and hiking at this farmhouse, which is also the headquarters of the Nature Conservation Society of Nashik. Located 20 minutes from the Sula Vineyards, Vihang Farmhouse is a standalone bungalow on a private farm with teak and mango trees. They have two bedrooms, The Florican Room and the Owlet Room, named after two critically endangered bird species. This place gives you a great chance to learn about conserving wildlife while enjoying your stay in a beautiful house. Yahvi is a 3-acre country house close to Sula Vineyards. It has two spacious bedrooms, a dining room, and a well-equipped kitchen. The property also has an attached garden and a separate entertainment hut. It is a serene place to relax and enjoy as it overlooks the Godavari backwaters with a stunning view all around. 3 Keys Villa, as the name suggests is a 3 bedroom villa. It is a great pick for a homestay if you’re attending SulaFest with your family and close friends. The villa can accommodate up to 10 people and is well equipped with all modern amenities. You also get to enjoy a well laid out English and special Maharashtrian breakfast here.